On behalf of the Government of the Republic of Indonesia, it is my heartfelt pleasure that in this auspicious occasion of the 67th anniversary of Indonesian Independence Day to greet and wish all the Indonesian nationals reside in Hong Kong and Macau a happy independence day. As for the people of Hong Kong Special Administrative Region, allow me to convey to you all my best and warm regards. Indonesia is not a new place for you. As we have enjoyed decades of long relations – forged since the middle 1960s, we are one of oldest foreign countries that present in your land. Up to this moment, there are more than 150 thousands of my fellow countrymen and women reside and working in Hong Kong. I would like to thank you all for your warm welcome to all of us, may our present will provide you with best contribution in your daily lives. Allow me also to take this opportunity to welcome you to Indonesia, the next land of hope for business and pleasure. As you read the following, please do notice that me and all the staff at the Consulate General of the Republic of Indonesia in Hong Kong are more than willing to assist you in any way we can should you need furthermore information to do business, invest and travel in and to Indonesia. Doing Business in Indonesia: A Heaven for Trade and InvestmentUp until today, Indonesia is generally known as one of the world’s new emerging economies. We have a solid ground for business and one of the most potential places in Asia for investment despite of the current turmoil in the global economy. At least two main reasons confirm this statement. Firstly, the Indonesia’s large and vast market. As the world’s fourth most populous country –240 millions of population– and the largest economy in Southeast Asia, Indonesia, without a doubt, constitutes a definite potential market place. Indonesians are generally known as possessing a wide network and connectivity with the rest of the world – a heaven for consumer product investments. Secondly, Indonesia possesses a huge advantage in demographics. Of the 240 million people, over 50% of the population is under 29 years old, and 60% of the population is under the age of 39, with around 52% of the population living in urban areas. This provides a huge market potential since this kind of demographic composition will most likely be followed by a growing modern lifestyle, as well as a dynamic labor market which provides strategic pools of labor force in various centers of investment. Another important fact is the growing and affluent middle class which developed from the above data –150 million out of the total population– has supported the GDP growth of 56.7% of all the private consumption. Number wise, Indonesian middle class has been considered as one of the largest in the world. As for general economic indicators, in April 2012, the International Monetary Fund stated that Indonesian GDP has reached USD 1 trillion – consists of three major sectors, namely industry (46.4%), services (37.1%) and agriculture (16.5%). This composition catapulted Indonesia into one of the biggest growing economies, with several analysts stating that Indonesia will be the 12th biggest economy in the world in 2025. Major improvements in economic and fiscal policies are also contributing to the above condition. Having learnt from previous financial crisis, Indonesia has built stronger economic performance despite global sluggish markets. With such sturdy economic foundation combined with appropriate policy measures, Indonesia currently enjoys less impact of the global financial crisis compared to what had happened in other parts of the world. Indonesia’s economic progress and its potential for investment have also been acknowledged globally. Fitch credit ratings has upgraded Indonesia to BB+ with a stable outlook, Standard & Poor’s has improved Indonesia’s credit rating to BBB, the Japan Credit Rating Agency (JCR) vote for investment grade and the Moody’s Investors Service stated that Indonesia is currently possessing Ba1 rating with a stable outlook. At the same time, Indonesian government continuously improves business climate and investment protection, incentives and facilities. Doing business in Indonesia will certainly be beneficial. We have all the economic factors intact without having any worry about natural resources and human labor market. 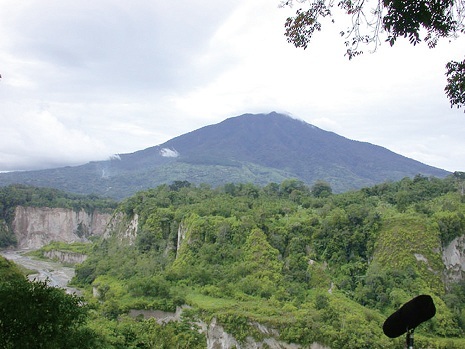 While you do business, we offer you another charm of Indonesia: a magnificent travel experience. Located at the equator line, Indonesia is blessed with great climate where you can enjoy sunshine all year long, providing Indonesia the richest biodiversity in the world. This is reflected by the fact that Indonesia represents 1/5 of world’s coral reefs. This is why Indonesia has been known as the best place for underwater activities, as well as well as for its pure and beautiful beaches. 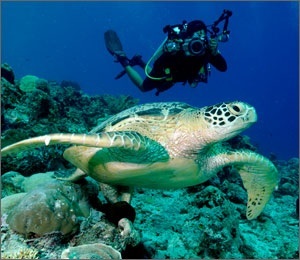 Dive into the ocean and experience the wonderful underwater panorama of Indonesia at Raja Ampat, Papua; Wakatobi and Bunaken in the island of Sulawesi; Komodo Island, East Nusa Tenggara; Gili Meno, Gili Air, Gili Trawangan, West Nusa Tenggara, and many other places that will amaze you. Or you can simply enjoy the sea breeze while walking along the sandy beach on those places. 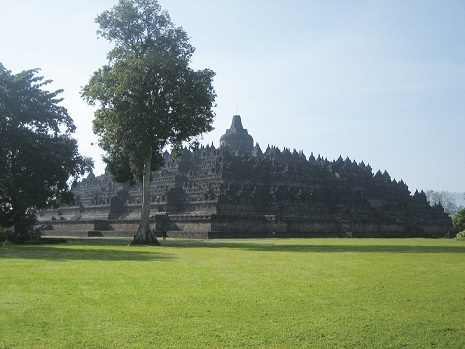 You can also find yourself mesmerized by the beauty of the green forest and mountainous areas: Lake Toba in North Sumatra, Mount Rinjani in West Nusa Tenggara, tropical forest of Kalimantan, or, should you interested in culture and history, you can go to Central Java and Yogyakarta to see for yourself the famous Buddhist temple of Borobudur and Hindu temple of Prambanan, both acknowledged by the UNESCO as the World Heritage. 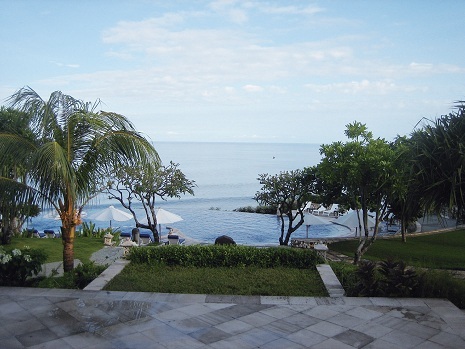 There is also, of course, Bali – the island of Gods; the tropical paradise. For several years, Bali has been nominated and awarded as the Best Island Destination in Asia Pacific. Earlier this year, once again Bali receives the award, confirming its status as the most suitable holiday destination and a tropical paradise. For full information of the Indonesian tourism choices, please visit Indonesia.travel on the internet where you will see that the above descriptions are just only a fragment of the Indonesian various tourism destinations. You can find hundreds, even thousands, tourism destinations that, I can assure you, will take your breath away. Some of Indonesian cultural heritage are also inscribed in UNESCO’s Representative List of the Intangible Cultural Heritage of Humanity, i.e. Indonesian Angklung (traditional music instrument made of bamboo) from West Java; Indonesian Batik (hand painted and hand-dyed cotton and silk garments), Indonesian Keris (Javanese asymmetrical dagger) and also the Wayang Puppet Theatre (shadow puppets). Indonesian rich cultures have been passed from generation to generation, and are well-preserved and developed. So, once again, on this occasion of the 67th anniversary of Indonesian Independence Day, it is my honor to invite you to Indonesia, be it for leisure and tourism, business and investment, and you can see for yourself all the above excitements. I would like to once again take this opportunity to express my sincere gratitude to the Government of the People’s Republic of China for continuously maintaining and enhancing the mutually beneficial relationship between Indonesia and Hong Kong SAR of the People’s Republic of China. For my fellow Indonesians in Hong Kong: Dirgahayu Kemerdekaan Indonesia. May this upcoming year of our 67th independence, we will achieve a great success in all of our endeavors. For people of the Hong Kong and Macau SAR, may our bilateral relations will continuously flourish in every walks of life and mutually beneficial for both of us in years to come.